Come indicato dal recente Cyclical Outlook “Synching Lower” di PIMCO, la crescita globale continua a “sincronizzarsi al ribasso”. Ma le banche centrali di tutto il mondo sembrano affrontare questo tema soltanto adesso. Con i rischi politici che si profilano sullo sfondo e lo spazio più limitato per ulteriori manovre, il prezzo da pagare potrebbe essere una recessione più profonda e/o più lunga in futuro. PIMCO suggerisce dunque di continuare ad investire, ma con prudenza. Non solo: anche le banche centrali dei mercati emergenti si sono unite al coro. La Reserve Bank of India ha sorpreso la maggior parte degli osservatori con un taglio dei tassi; la Banca del Messico ha rimosso l’avvertimento di un ulteriore inasprimento a causa dell’inflazione più bassa e della crescita più debole; mentre, infine, le banche centrali di Brasile e Russia hanno abbassato le loro aspettative sull’inflazione. La nuova postura degli Stati Uniti e della politica monetaria globale potrebbe di conseguenza contribuire a un’eventuale stabilizzazione della crescita entro la fine dell’anno. Con la politica fiscale favorevole e le banche centrali più accomodanti, è infatti probabile che l’attuale fase avanzata del ciclo duri più a lungo. Tuttavia, conclude il Global Economic Advisor di PIMCO, una politica che mira a proseguire una policy fiscale espansiva presenta altresì degli aspetti negativi: si potrebbe infatti ridurre lo spazio per ulteriori manovre che hanno l’obiettivo di attenuare la prossima recessione. In questo contesto, dunque, sarebbe più opportuno per gli investitori rimanere prudenti e non inseguire il rally che da inizio anno hanno avuto gli asset rischiosi. Global growth keeps ‘synching lower’ as envisaged in our recent Cyclical Outlook, but central banks around the globe are now on the case. Together with ongoing fiscal support, this raises the odds of a temporary soft landing for the global economy, thus extending the current late-cycle market environment before it morphs into the end-cycle phase. Yet, with political risks looming in the background and policy space even more limited, the price to pay may be a deeper and/or longer recession later. Stay invested, but with a cautious tilt. Already last month, both the ECB and the Bank of Japan expressed increasing concerns about downside risks for the economic outlook, thus suggesting that policy rates will stay negative for even longer than previously thought. This past week, the Reserve Bank of Australia cut its growth and inflation forecasts and Governor Lowe announced that the Bank had shifted from a tightening bias to more symmetric stance. Next, the Bank of England lowered it growth forecasts, inducing many observers to push expectations of the next rate hike further out. Emerging market central banks also turned more dovish with the Reserve Bank of India surprising most observers with a rate cut, the Bank of Mexico removing the warning of further tightening given lower inflation and weaker growth, and the central banks of Brazil and Russia both lowering their sights on inflation. 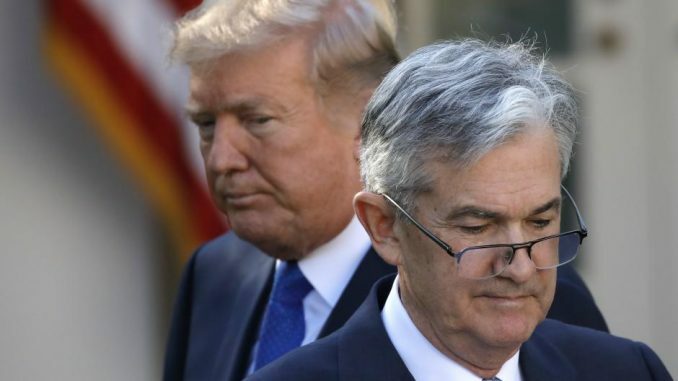 Yet, the most intriguing and consequential recent monetary policy move remains the Fed’s dovish pivot towards adopting a neutral stance on rates and putting the end of quantitative tightening on the map for later this year. Regarding the implications, I encourage you to read our US economist Tiffany Wilding’s latest piece on the PIMCO Blog (“How Durable is the Fed’s Dovish Turn?” February 8, 2019). In short, Tiffany argues that now that Fed policy makers seem to acknowledge that rates have arrived at around neutral levels and a move into restrictive territory looks less likely, they may start to focus on creating more policy space for a future downturn by not only tolerating but targeting an inflation overshoot. This would be consistent with the recent proposal by New York Fed President John Williams to adopt a strategy of ‘average inflation targeting’, i.e. aiming at overshooting the 2% in normal times in order to make up for the likely undershooting of the target in bad times when policy is constrained by the lower bound for nominal interest rates. The goal would be to re-anchor otherwise notoriously sub-par inflation expectations at the target. And if inflation is running above 2% when the next recession hits, the Fed could push real interest rates lower to stimulate the economy. One consequence — the ‘prize’ — of the now more dovish US and global monetary policy stance is that it should contribute to an eventual stabilization of growth later this year. Note that fiscal policy in many major economies is already supportive, so monetary policy now has an important ally in subsidizing growth. This is an important change from the environment that prevailing for most of the expansion, when central bank dovishness was partly or fully neutralized by passive or restrictive fiscal policies. With fiscal policy supportive and central banks more dovish, the odds have thus increased that the current late-cycle environment can last longer. As we have emphasized before, late-cycle is not the same as end-cycle, and late-cycle phases can prevail for quite some time (recall the ‘fifth set no tie break’ analogy in our September 2018 Cyclical Outlook “Growing, But Slowing”). The Fed and Co. are now likely to extend the match even further. However, a more expansionary policy stance to keep the ageing expansion going comes at a price: potentially less policy space to ease in the next downturn. To be sure, if the Fed really targets and manages to achieve an inflation overshoot, it would gain room to push real interest rates further below the neutral level in the next downturn than if it started from at or below-target inflation. Yet, it remains to be seen if the Fed can really engineer a significant overshoot given adaptive inflation expectations that seem to be firmly anchored below the target. The experience of the Bank of Japan, which quite a while ago adopted an “overshooting commitment” to no avail, is sobering in this regard. Hence, a longer expansion bought by more supportive policy now may result in a deeper and/or longer downturn later.